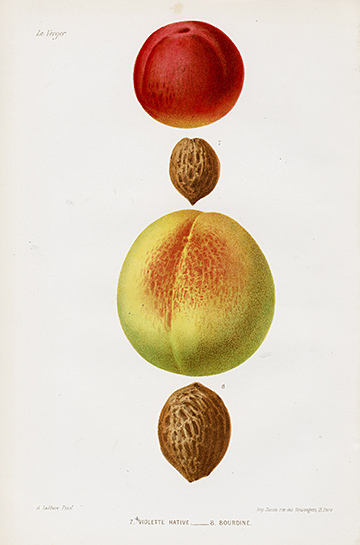 We are pleased to offer a selection of beautiful fruit prints from Le Verger or The Orchard by M. Mas published in 1866 in Paris, France. 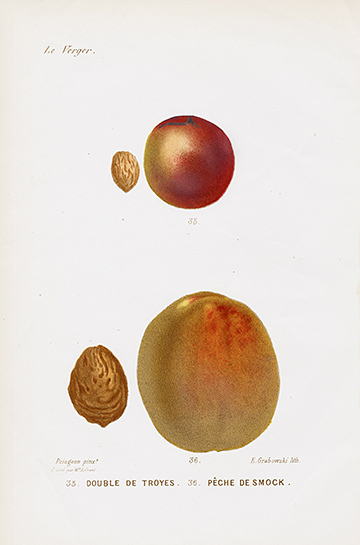 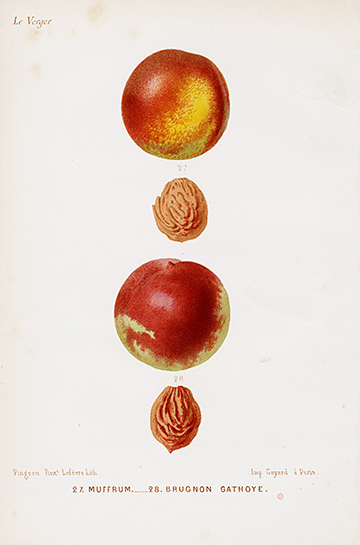 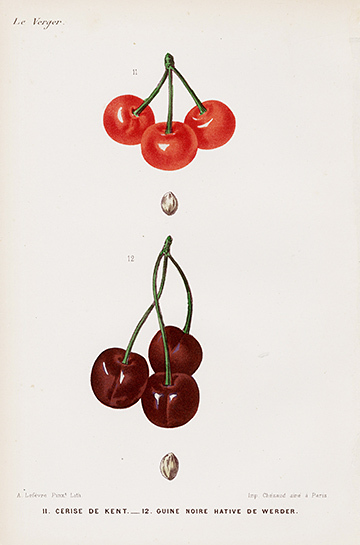 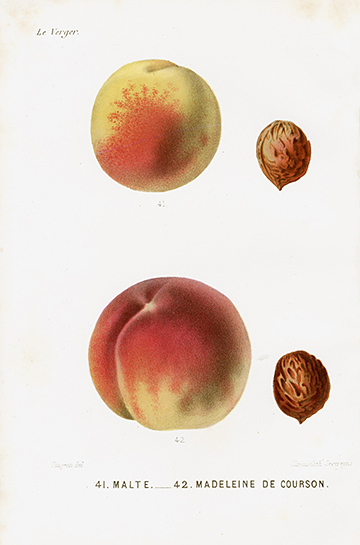 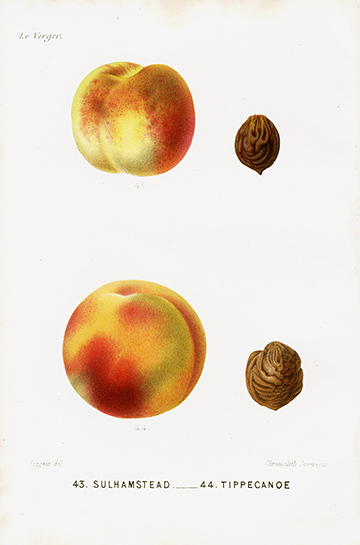 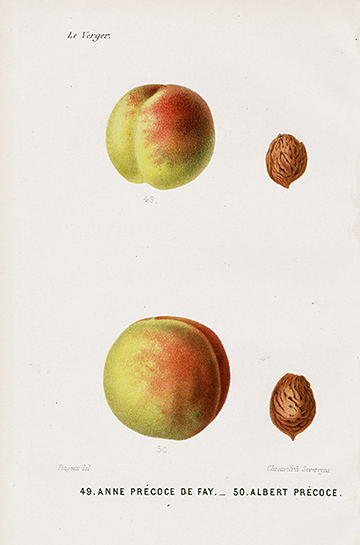 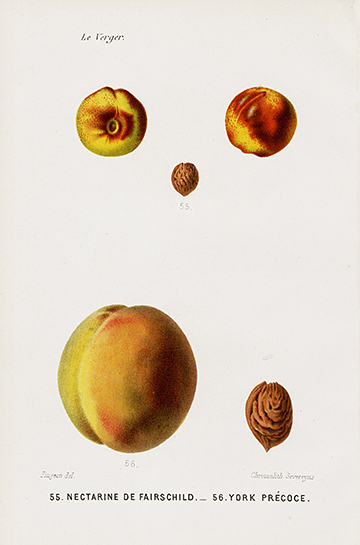 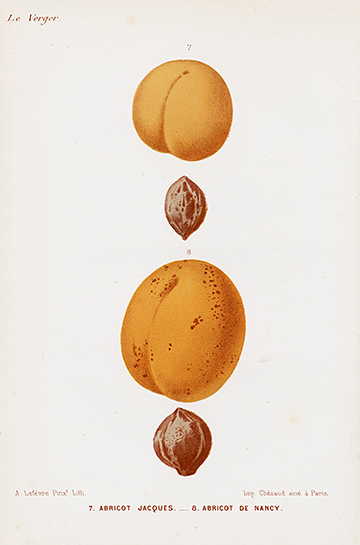 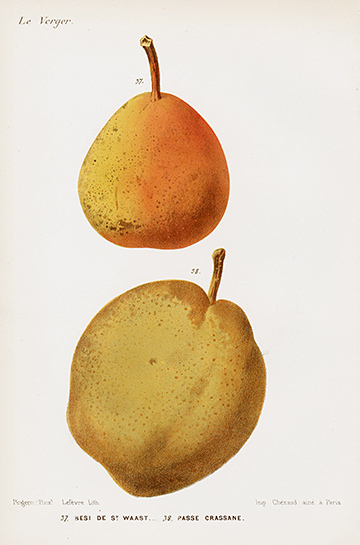 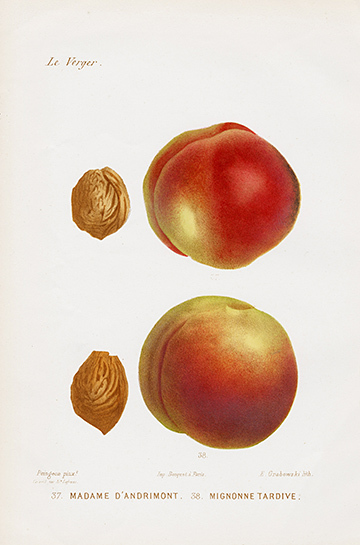 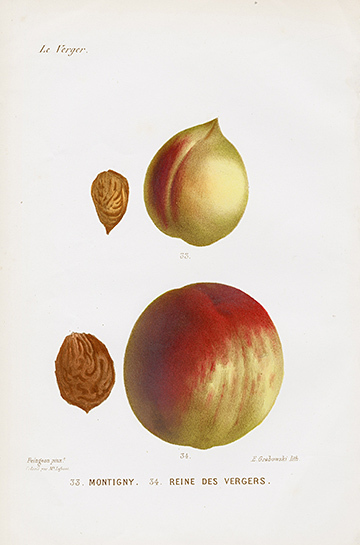 These prints are delightful hand finished lithographs of apples, pears, apricots, cherries, plums and peaches. 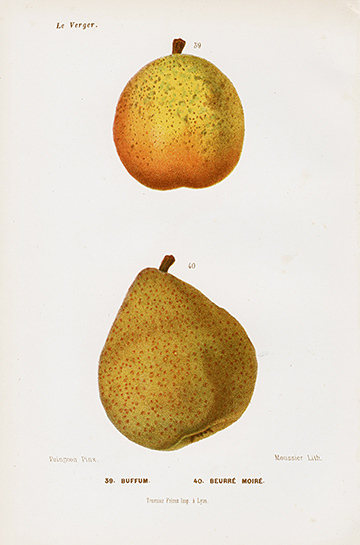 The prints are in excellent condition, with the paper creamy white and very little foxing. 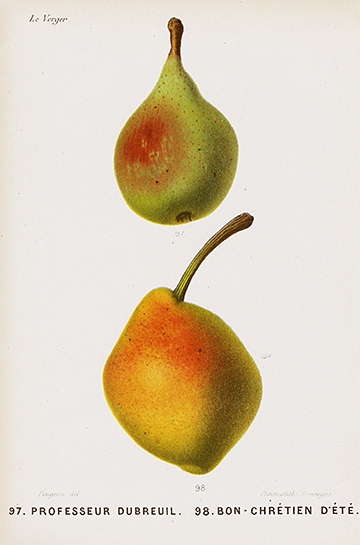 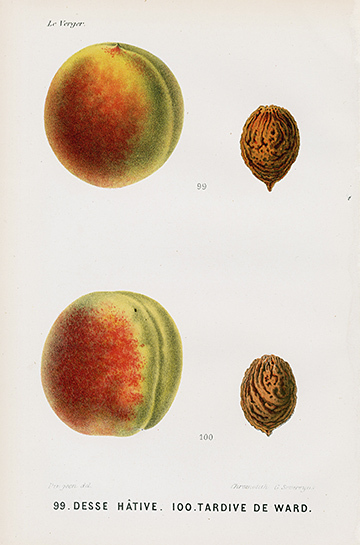 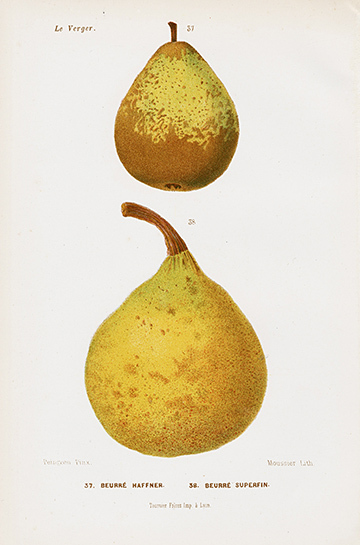 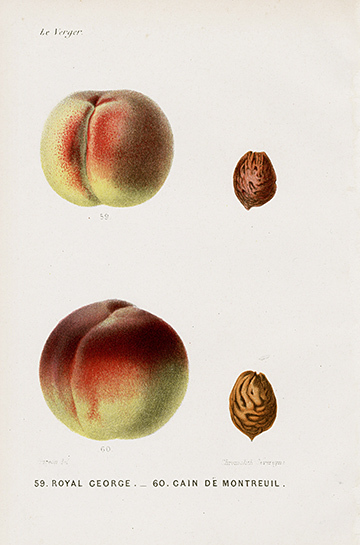 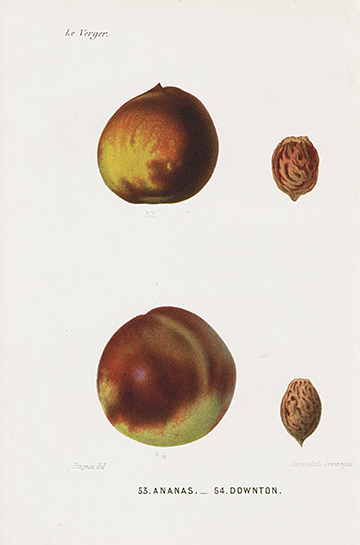 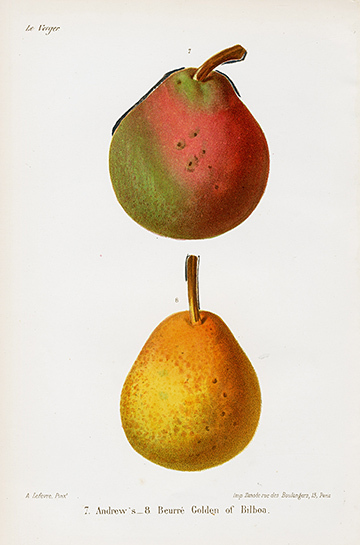 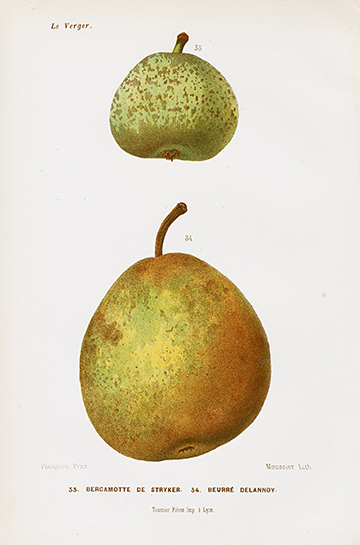 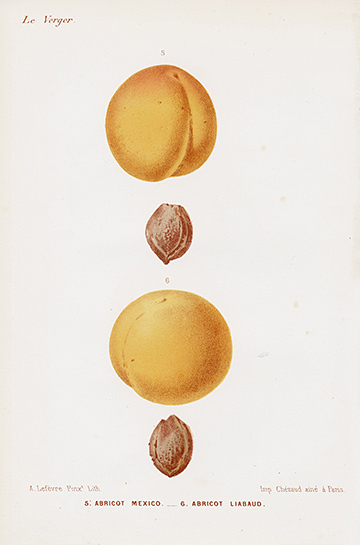 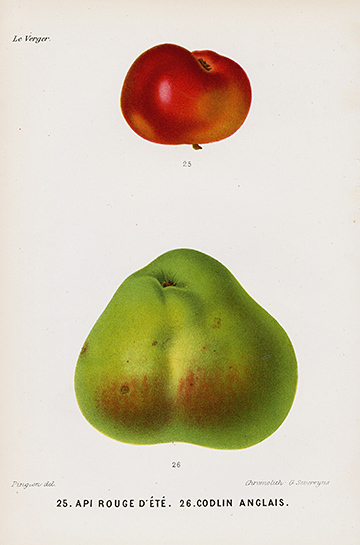 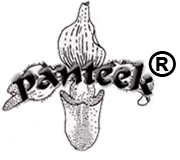 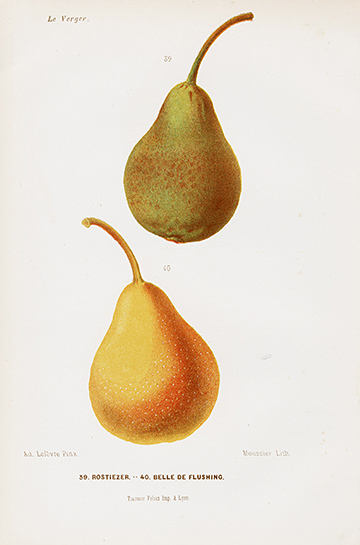 These old prints are a valuable record of the many wonderful fruit varieties that have disappeared in the past century. 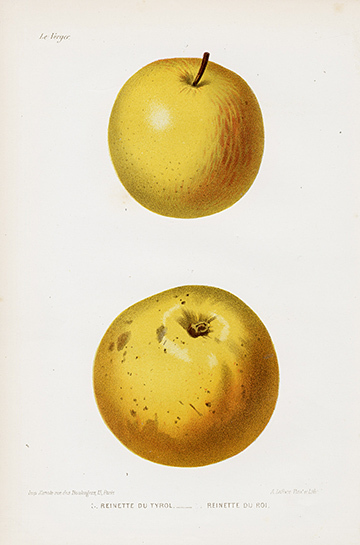 Just imagine that there were once about 10,000 varieties of apples alone in the US & now 15 varieties only account for more than 95% of US production! 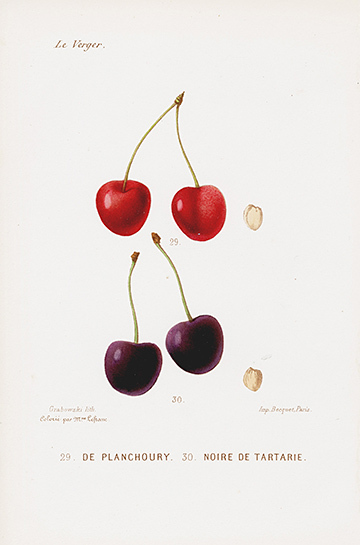 Each print measures approximately 6 3/4 inches by 10 1/4 inches and is accompanied by the descriptive French text & a copy of the title page. 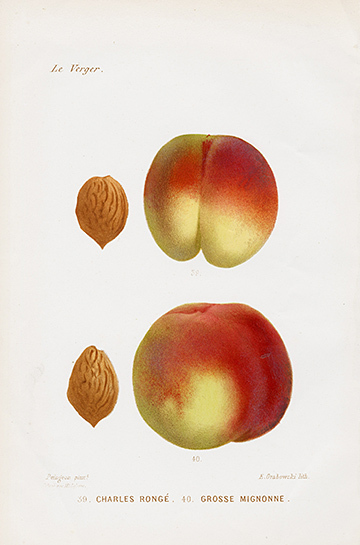 Please review the photos carefully as they are very accurate. 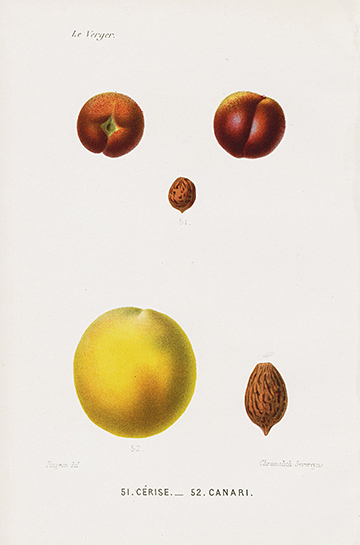 All our prints are original antique prints guaranteed to be the age stated & these prints are almost 140 years old.